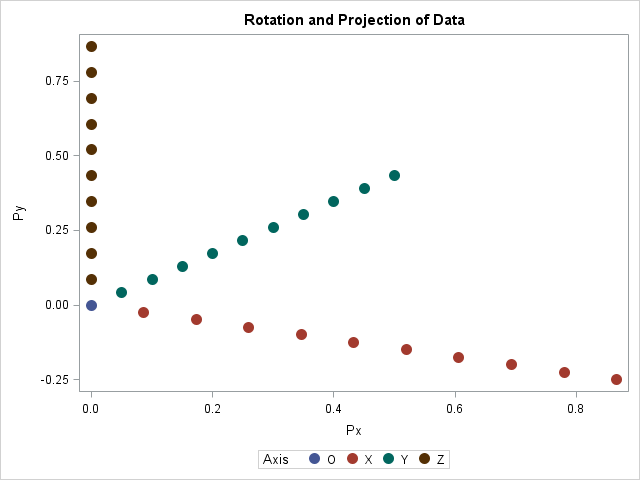 Rotation matrices are used in computer graphics and in statistical analyses. A rotation matrix is especially easy to implement in a matrix language such as the SAS Interactive Matrix Language (SAS/IML). This article shows how to implement three-dimensional rotation matrices and use them to rotate a 3-D point cloud. The matrix Rx(α) rotates points counterclockwise by the angle α about the X axis. Equivalently, the rotation occurs in the (y, z) plane. The matrix Ry(α) rotates points counterclockwise by the angle α in the (x, z) plane. The matrix Rz(α) rotates points counterclockwise by the angle α in the (x, y) plane. /* Rotate a vector by a counterclockwise angle in a coordinate plane. NOTE: Some sources define rotation matrices by leaving the object still and rotating a camera (or observer). This is mathematically equivalent to rotating the object in the opposite direction, so if you prefer a camera-based rotation matrix, use the definitions above but specify the angle -α. Note also that some authors change the sign for the Ry matrix; the sign depends whether you are rotating about the positive or negative Y axis. If you use PROC SGSCATTER to visualize the data, the results (not shown) are not very enlightening. Because the data are aligned with the coordinate directions, the projection of the 3-D data onto the coordinate planes always projects 10 points onto the origin. The projected data does not look very three-dimensional. All the data points are visible in this projection of the (rotated) data onto a plane. The use of the VECTOR statement to add coordinate axes is not necessary, but I think it's a nice touch. 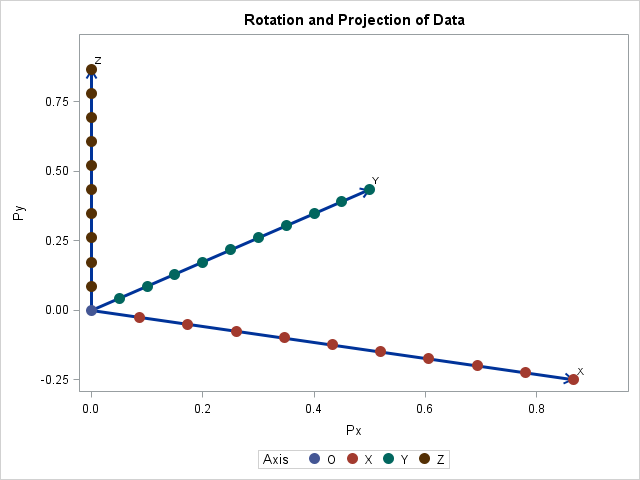 The G3D procedure in SAS/GRAPH software creates 3-d scatter plots. The SAS/IML Studio application, which is part of SAS/IML software, supports a point-and-click interface to create rotating scatter plots, and you can also use the RotatingPlot class to create a 3-d scatter plot programmatically. I also want to mention that Sanjay Matange created a 3-D scatter plot macro that uses ODS graphics to visualize a 3-D point cloud. Sanjay also uses rotation matrices, but because he uses the DATA step and PROC FCMP, his implementation is longer and less intuitive than the equivalent operations in the SAS/IML matrix language. 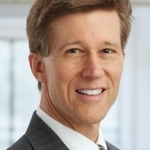 In his blog he says that his macro "is provided for illustration purposes." In summary, the SAS/IML language makes it convenient to define and use rotation matrices. An application is rotating a 3-D cloud of points. In my next blog post I will present a more interesting visualization example.